• Light the grill. 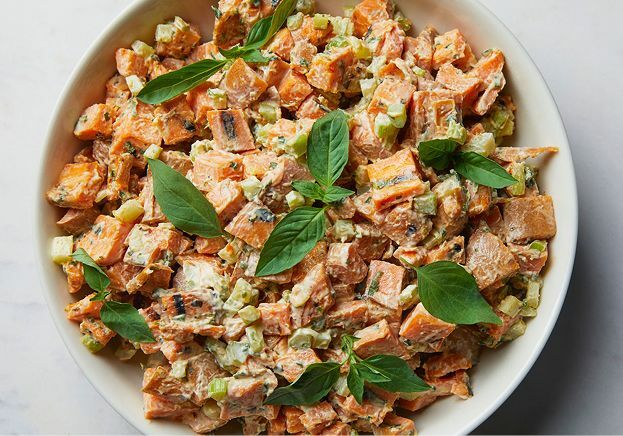 In a large bowl, toss the sweet potatoes with olive oil and salt and pepper to taste. Grill potatoes, flipping once, until cooked through and lightly charred, 15 to 20 minutes. Transfer to a cutting board and let cool, then roughly chop.